The set for a double bedroom. The mattress with dimensions of 23 x 30 xm is ideally suited to the size of the bed. It is trimmed with fabric (100% cotton), pillows are also made of it. The set includes a grey bedspread from Italian knitwear. 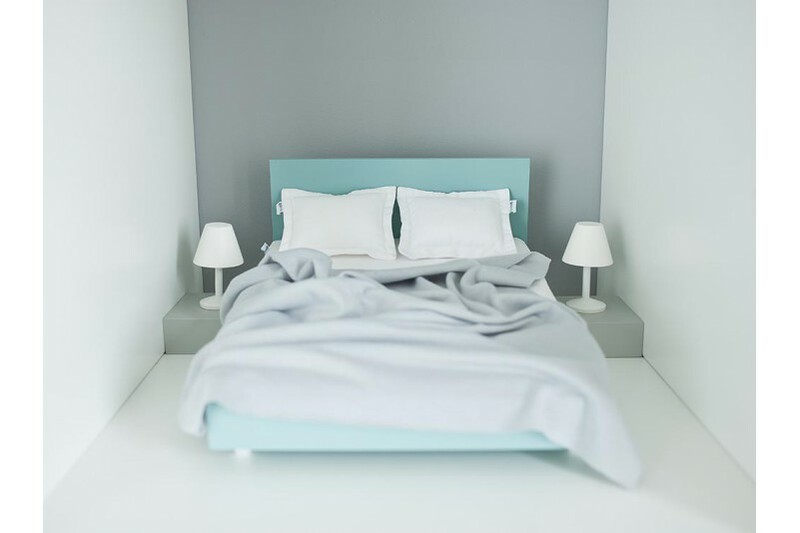 On the sides of the bed there have been bedside tables (grey) designed and on them - bedside lamps (white). 1:6 scale. Perfect for dolls and teddys up to 30 cm. An international TUV certificate guarantees top quality and full user safety. Items that are in-stock typically ship within two to four business days. If you have any questions or specific requests, please contact us at office@boomini.com.